Are you an athlete who participates in sports that involve throwing overhead? If so, you may be at risk of sustaining a rotator cuff tear. A rotator cuff tear is typically caused by a fall, sports injury or degeneration. Rotator cuff injury specialist, Dr. Mark Getelman provides diagnosis and both surgical and nonsurgical treatment options for patients in Los Angeles who have sustained a rotator cuff injury. Contact Dr. Getelman’s team today! Rotator cuff injuries are quite common in adults and lead to shoulder pain and weakness. A group of muscles and tendons, known as the rotator cuff, surround the shoulder joint like a cuff on a shirt sleeve and allow the shoulder to rotate upward, outward and inward. A rotator cuff tear is typically caused by a fall, sports injury or degeneration. 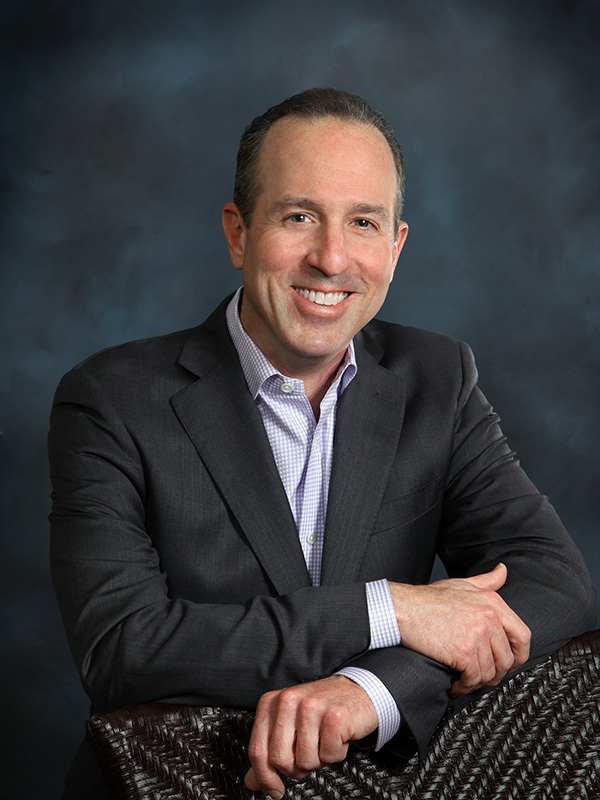 Dr. Mark Getelman, orthopedic shoulder specialist located in the Van Nuys, Thousand Oaks and Los Angeles, California area, is well trained in treating a rotator cuff tear by non-surgical and surgical measures, such as an ultrasound guided injection and arthroscopic, minimally invasive surgery. When one or more tendons of the rotator cuff become torn, a patient experiences shoulder pain and weakness from the separation or “tearing” of the tendon from the head of the humerus. Rotator cuff tears are classified as either partial or full-thickness tears. A partial tear occurs when the soft tissue becomes damaged but is not completely severed. A full-thickness tear, or complete tear, occurs when the soft tissue is torn off the bone completely. The majority of rotator cuff injuries involve the supraspinatus muscle and tendon, but the other rotator cuff tendons and muscles have the ability to sustain an injury. Rotator cuff injuries are caused by injury and degeneration in many cases. An acute tear is typically caused by a fall or lifting an object too heavy. Degeneration often plays a role in the process and is often the result of chronic use of the shoulder, bone spurs on the underside of the acromion and lack of blood supply to the tendons. A degenerative tear can then occur over time. The most common rotator cuff tear symptoms include pain and weakness. Many patients report pain at night and at rest when lying on the affected shoulder, and when raising and lowering the arm. Weakness is generally reported when a patient lifts and lowers the arm, as well as when rotating the arm. Certain patients may also experience popping or cracking sensation when the arm is engaged in certain movements. Dr. Getelman will begin his rotator cuff injury evaluation by discussing the patient’s symptoms and performing a thorough physical examination. During the examination, Dr. Getelman will move the arm in several different directions to assess pain level, strength and range of motion. A series of X-rays, an MRI scan or an ultrasound may also be performed to gain a detailed view of the entire shoulder joint and to examine any bone or soft tissue injuries. In many cases, a rotator cuff injury may be treated with non-surgical measures. The size, location, and pattern of rotator cuff tear and patient’s lifestyle and activity level will all be determining factors in selecting the correct treatment option. In approximately 50% of patients, non-surgical measures such as rest, activity modification, anti-inflammatory medication, physical therapy and steroid injections relieve pain and improve function. When performing injections, Dr. Getelman utilizes ultrasound guidence to improve accuracy of the injection and decrease the pain level. The goal of non-surgical treatment is to reduce inflammation, as well as to strengthen the remaining shoulder muscles to compensate for the torn tendon. Surgery may be recommended by Dr. Getelman when non-operative measures fail or in tears that are too severe. A minimally invasive, arthroscopic procedure is extremely successful at repairing rotator cuff tendons. Using an arthroscopic procedure rotator cuff repair allows excellent visualization of the interior of the joint to facilitate the repair by first trimming and removing fragments of torn tendons. The next step utilizes the arthroscope to visualize any spurs beneath the acromial bone, which are then removed with small surgical instruments. If a rotator cuff tendon has completely pulled off the bone, it is then repaired with strong stitches via suture anchors that allow Dr. Getelman to attach the rotator cuff tendon back to the bone. For more resources on a rotator cuff injury, or for additional information on ultrasound guided injections, please contact Dr. Mark Getelman, shoulder specialist located in the Van Nuys, Thousand Oaks and Los Angeles, California area.